Eber-Nari (Akkadian, also Ebir-Nari), Abar-Nahara עבר-נהרה (Aramaic) or 'Ābēr Nahrā (Syriac) was the name of a region of Western Asia and a satrapy of the Neo-Assyrian Empire (911-605 BC), Neo-Babylonian Empire (612-539 BC) and Achaemenid Empire (539-332 BC). Eber-Nari roughly corresponded with the Levant (modern Syria), and was also known as Aramea. It means "Beyond the River" or "Across the River" in both the Akkadian and Imperial Aramaic languages of the Neo-Assyrian Empire (that is, the Western bank of the Euphrates from a Mesopotamian and Persian viewpoint). It is also referred to as Transeuphratia (French Transeuphratène) by modern scholars. The province is also mentioned extensively in the Biblical books of Ezra and Nehemiah. The term was established during the Neo-Assyrian Empire (911-605 BC) in reference to its Levantine colonies, and the toponym appears in an inscription of the 7th century BC Assyrian king Esarhaddon. The region remained an integral part of the Assyrian empire until its fall in 612 BC, with some northern regions remaining in the hands of the remnants of the Assyrian army and administration until at least 605 BC, and possibly as late as 599 BC. Subsequent to this Eber-Nari was fought over by the Neo-Babylonian Empire (612-539 BC) and Egypt, the latter of which had entered the region in a belated attempt to aid its former Assyrian overlords. The Babylonians and their allies eventually defeated the Egyptians (and remnants of the Assyrian army) and assumed control of the region, which they continued to call Eber-Nari. The Babylonians were overthrown by the Persian Achaemenid Empire (539-332 BC), and the Persians assumed control of the region. 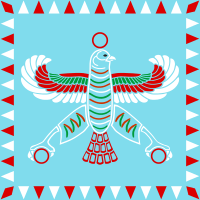 Having themselves spent centuries under Assyrian rule, the Achaemenid Persians retained the Imperial Aramaic and Imperial organisational structures of their Assyrian predecessors. In 535 BC the Persian king Cyrus the Great organized some of the newly conquered territories of the former Neo-Babylonian Empire as a single satrapy; "Babylonia and Eber-Nari", encompassing southern Mesopotamia and the bulk of the Levant. Northern Mesopotamia, the north east of modern Syria and south east Anatolia remaining as Athura (Assyria) (Achaemenid Assyria). 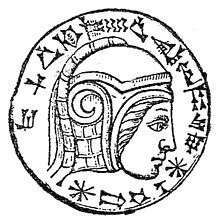 The satrap of Eber-Nari resided in Babylon and there were subgovernors in Eber-Nari, one of which was Tettenai, mentioned in both the Bible and Babylonian cuneiform documents. 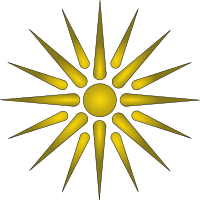 This organization remained untouched until at least 486 BC (Xerxes I's reign), but before c. 450 BC the "mega-satrapy" was split into two—Babylonia and Eber-Nari. Herodotus' description of the Achaemenid tax district number V fits with Eber-Nari. It comprised Aramea, Phoenicia, and Cyprus (which was also included in the satrapy). Herodotus did not include in the tax list the Arabian tribes of the Arabian peninsula, identified with the Qedarites, that did not pay taxes but contributed with a tax-like gift of frankincense. Eber-Nari was dissolved during the Greek Seleucid Empire (312-150 BC), the Greeks incorporating both this region and Assyria in Upper Mesopotamia into Seleucid Syria during the 3rd century BC. Syria was originally a 9th-century Indo-Anatolian derivation of Assyria and was used for centuries only in specific reference to Assyria and the Assyrians (see Name of Syria), a land which in modern terms actually encompassed only the northern half of Iraq, north east Syria and south east Turkey and not the bulk of Greco-Roman, Byzantine or modern nation of Syria. However, from this point the terms Syrian and Syriac were used generically and often without distinction to describe both Assyria proper and Eber-Nari/Aram, and their respective Assyrian and Aramean/Phoenician populations. Akkadian: (??? Cuneiform script), translit. Eber-Nāri (EbirNari), lit. 'trans river' — i.e. the region west of the Euphrates. Old Aramaic: עבר נהרה, translit. Avarnaharā' (AbarNahara), lit. 'trans river' — i.e. the other side of the Euphrates. Hebrew: עבר הנהר‎, translit. Ēver-ha-Nāhār (EberhaNahar), lit. 'trans river'‎ — i.e. beyond the river. ↑ Tuell 1991, p. 51. ↑ Stolper 1989; Dandamaev 1994. ↑ Dumbrell 1971; Tuell 1991. ↑ Miller, Douglas B.; Shipp, R. Mark (1996). An Akkadian Handbook: Paradigms, Helps, Glossary, Logograms, and Sign List. Eisenbrauns. p. 49. ISBN 978-0-931464-86-7. Eber nāri (geo) the region west of the Euphrates, Syria—NA, NB, LB. ↑ David Noel Freedman; Allen C. Myers; Astrid B. Beck (2000). "Beyond the River". Eerdmans Dictionary of the Bible. W.B. Eerdmans. p. 177. ISBN 978-0-8028-2400-4. Dandamaev, M (1994): "Eber-Nari", in E. Yarshater (ed.) Encyclopaedia Iranica vol. 7. Drumbrell, WJ (1971): "The Tell el-Maskuta Bowls and the 'Kingdom' of Qedar in the Persian Period", BASOR 203, pp. 33–44. Elayi, J; Sapin, J (1998): "Beyond the River: New Perspectives on Transeuphratene". A&C Black. ISBN 978-1-85075-678-1. Olmstead, AT (1944): "Tettenai, Governor of Across the River", JNES 3 n. 1, p. 46. Stolper, MW (1989): "The Governor of Babylon and Across-the-River in 486 B.C. ", JNES 48 n. 4, pp. 283–305. Tuell (1991): "The Southern and Eastern Borders of Abar-Nahara", BASOR n. 284, pp. 51–57.